Full size 8 inch bowl with extended edge. 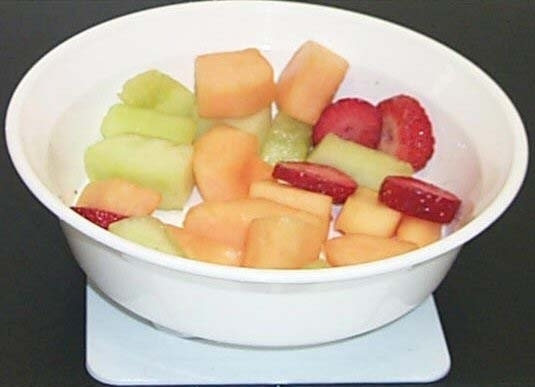 The Freedom Dinnerware Snack Bowl with Suction Pad is a practical and revolutionary solution for people with arthritis who have difficulty eating due to the movement of the dinnerware. This large high sided dish has a base that prevents the bowl from moving. 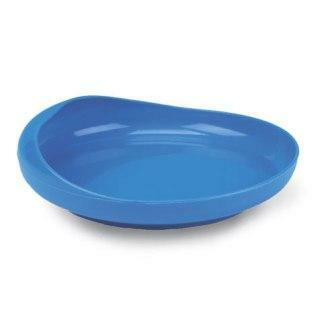 The large bowl is made of unbreakable and dishwasher safe (top rack) FDA approved polypropylene that is BPA free. The extended rim and the patented no slip suction pad base promote self feeding for people with arthritis. To attach the Freedom Suction Pad to the Freedom Snack Bowl, simply turn the bowl over and attach the pad like putting a lid on a jar. Turn the pad by hand until it is securely tight. The Freedom Snack Bowl is ready for use and will not move. The no slip Freedom Suction Pad is a patented vacuum system. 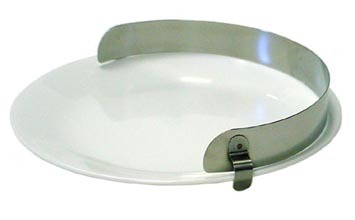 When you place the non skid Freedom Dinnerware bowl with pad attached on a flat surface and push down with slight pressure, it creates a no slip suction system that holds the bowl in place and will not move if you bump it or hit it. Perfect for flat table tops, wheelchair trays and over-bed tables. No more suction cup feet that slide and loose their grip. Measures: 8 inches wide and 3 inches high overall. Material: Polypropylene BPA free, phthalates free.